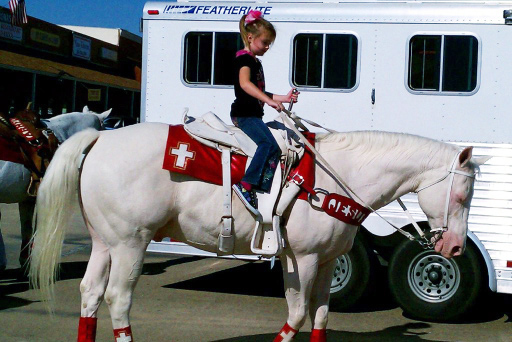 Outside the historic town of Denison, lives a well-built, solid white gelding named Paul. Paul is owned by Joy West. Many people may recognize that name as one of the organizers and the manager of the Christian riding group the Glory Riders. 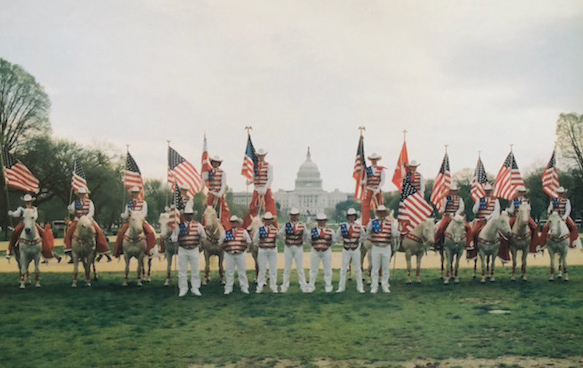 The Glory Riders were formed by Joy and her sister, Jan Lobban, of Nocona, in 1989. 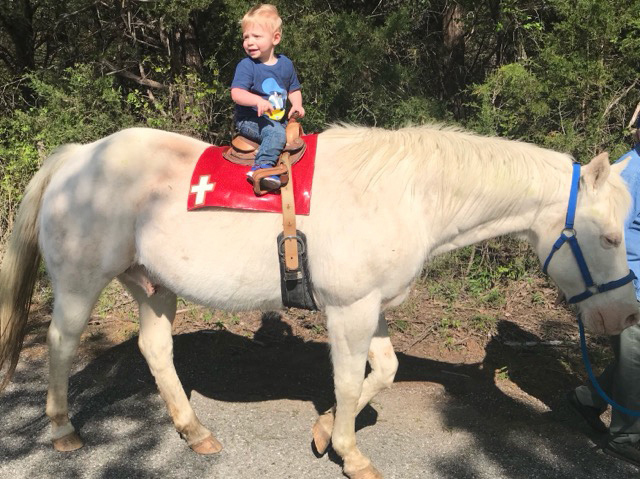 Originally, the group rode horses of a variety of colors but soon decided to represent the Lord and the scriptures from Revelation 19 that they portrayed in their arena presentation, they should be riding white horses. Consequently, they set about to make the change and began looking to buy quality white horses. One of the sisters’ goals was to always ride good looking horses, and they would be a skilled, professional performance the cowboys would not view negatively as just slowing down the rodeo. They accomplished that in spades. Many cowboys would look forward to their performances, stop the preparation for their own events and make their way to the arena to watch them.